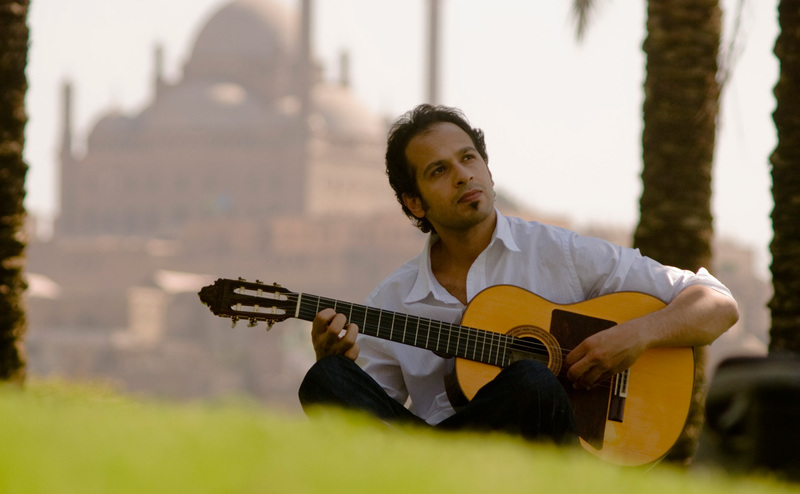 Ali Khattab picked up his first guitar in his family home in Cairo. 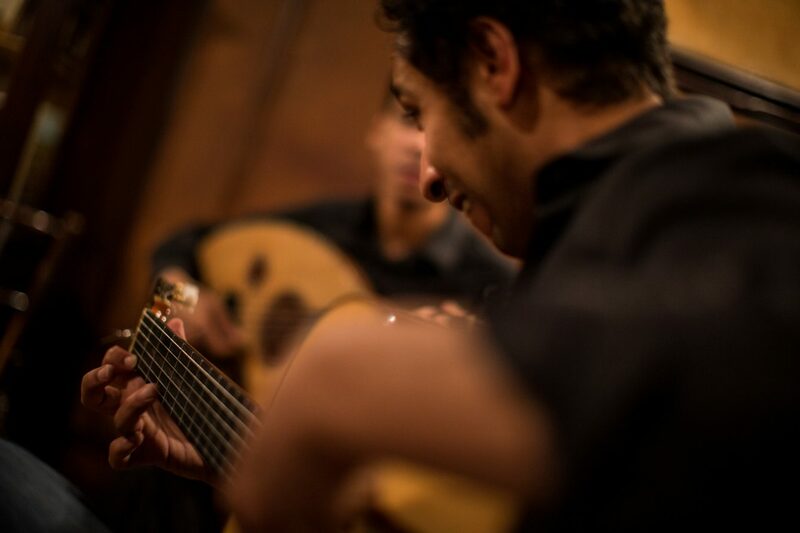 Without tuition, or even much information on guitars in Egypt, he slowly learned how to tune and play the instrument. 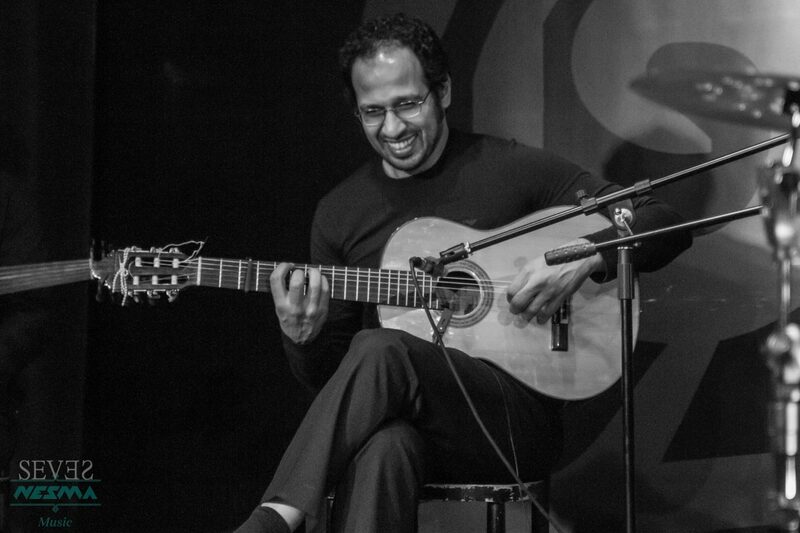 As he was learning he came across the music that would set the course of his life: amongst the Jimi Hendrix and Led Zeppelin albums he found cassettes by Paco de Lucía and Manolo Sanlúcar. 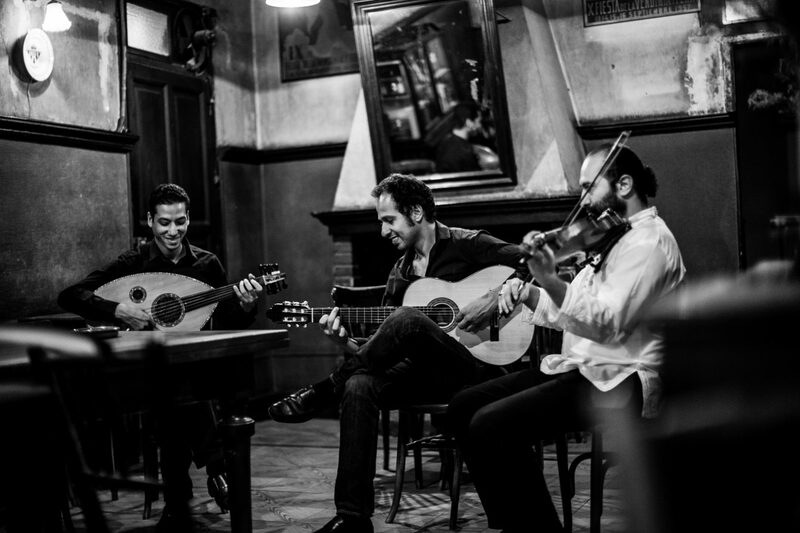 The sound of the flamenco guitar and its emotional impact – the duende – eventually drew Ali to Jerez de la Frontera in Andalucía where he immersed himself in the music in bars and get-togethers. 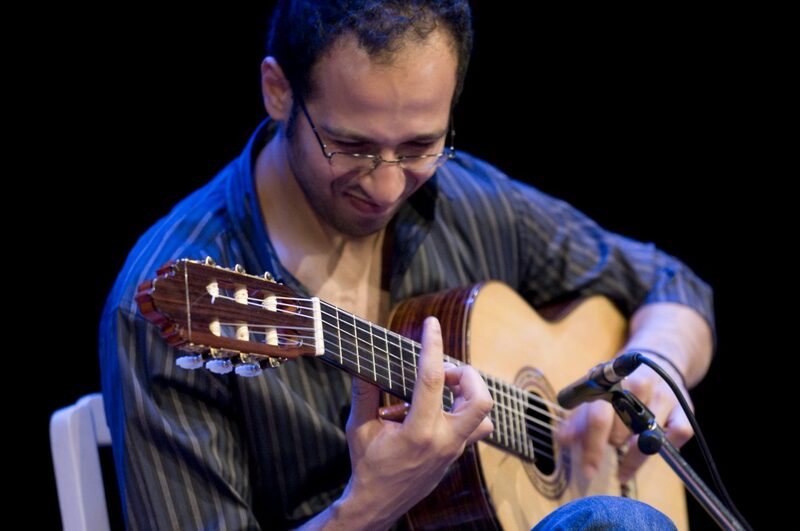 In his own words, he immediately started playing flamenco guitar in an ‘Arabic style’. 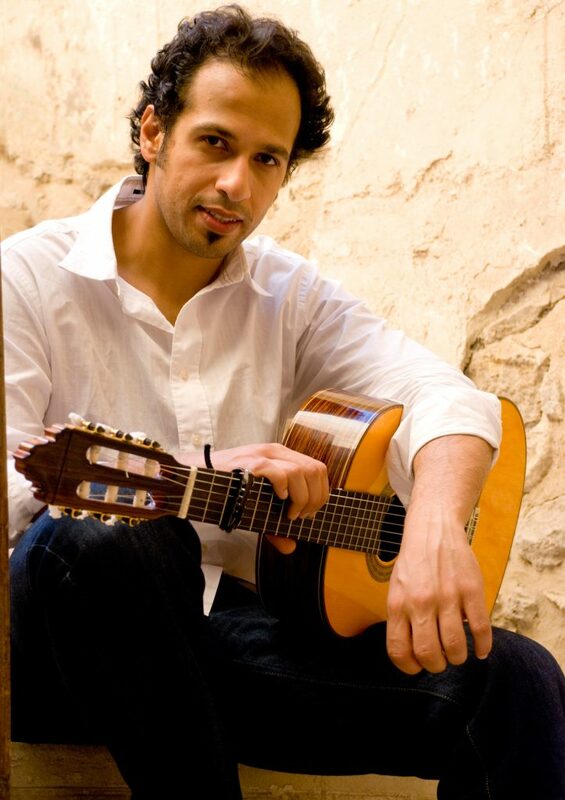 The maqamat (melodic modes of Arabic music) were in his blood and these fed directly into the flamenco palos and his unique style, with roors in the North and South banks of the Mediterranean, began to form without contrivance or artifice. 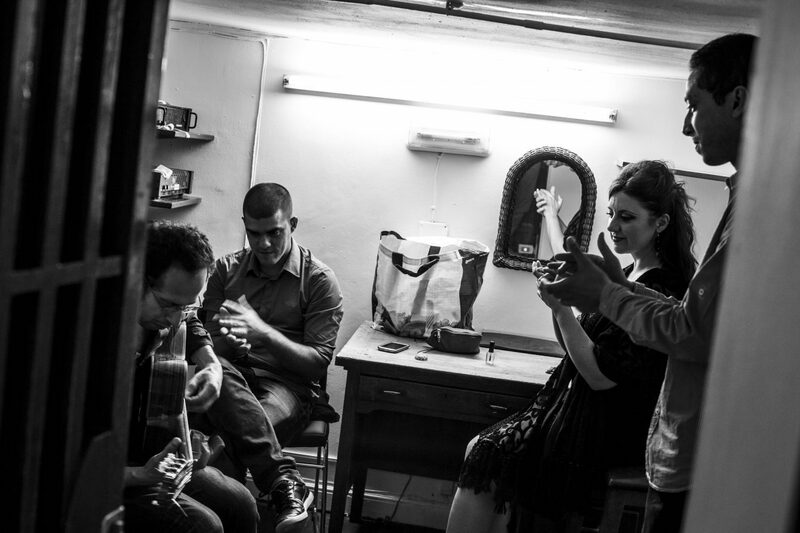 In the same natural way Ali began to compose, gathering like-minded musicians around him as his musical vision formed. 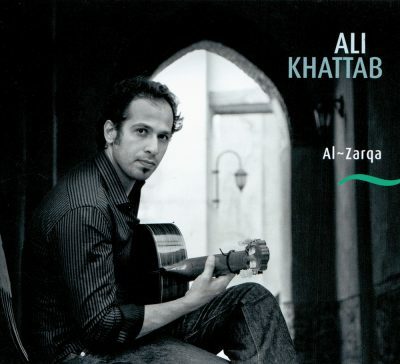 The conversation between these styles has been the basis of his success to date, which includes two highly praised albums: ‘Al-Zarqa’ (2010) and ‘Sin País’ (2014). 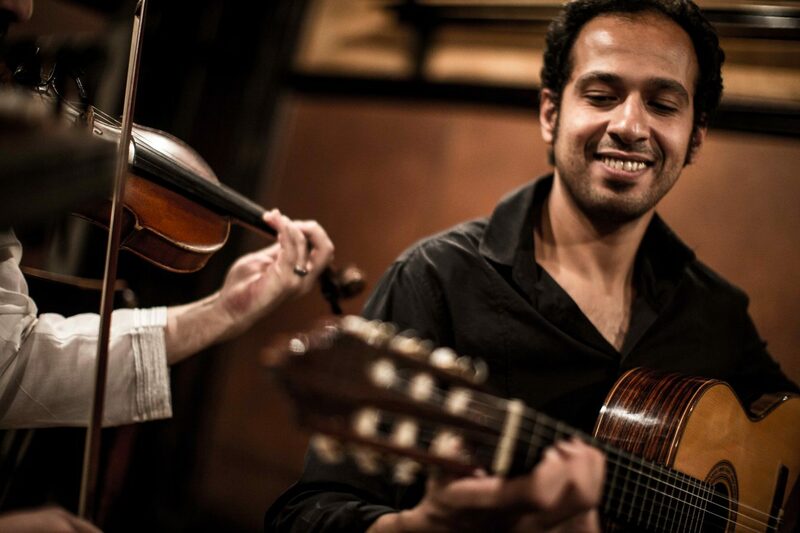 His group has extended to include violin, ney, percussion, double bass, and flamenco and Sufi singers. 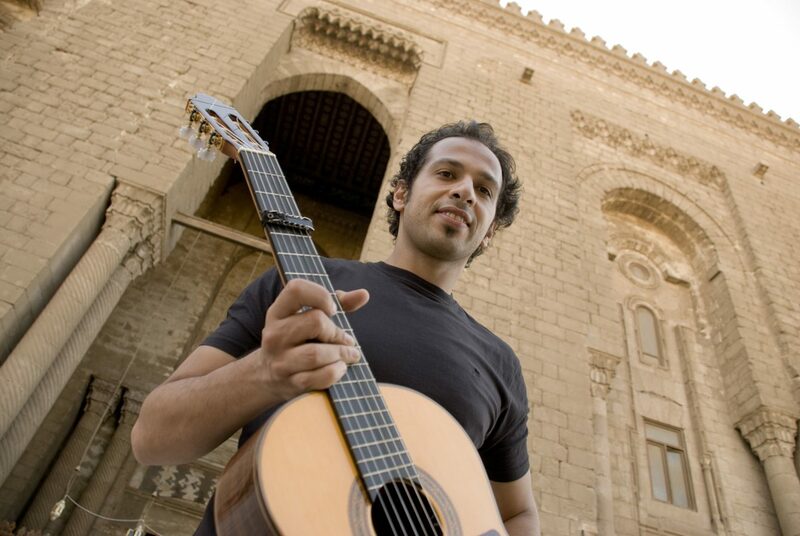 As his journey progresses, Ali is opening up his approach to create more freedom and a more universal music. 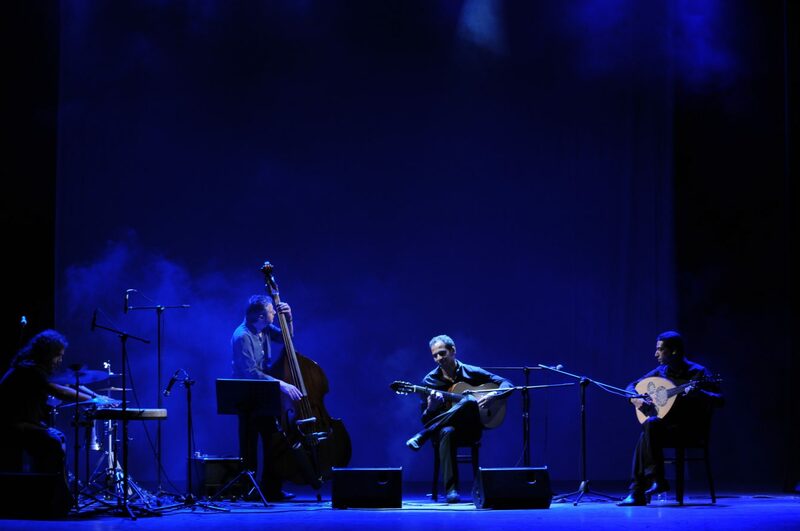 Whilst the Arabic maqamat and flamenco palos still form the roots of his unmistakable sound, he is now developing more harmonic elements which give a greater openness to his message. 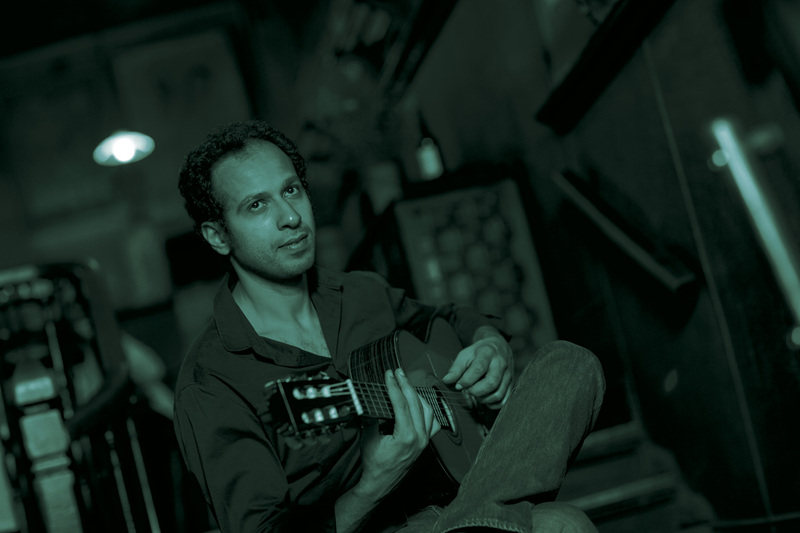 The inclusion of the piano, played by the rising star Jorge Vera, creates a new feel, intertwining with the guitar and underpinned by the percussion of Iranian multi-instrumentalist Shayan Fathi. 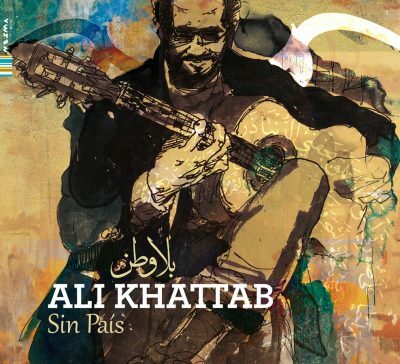 This message, of freedom, of being ‘sin país’ (without borders) is also expressed in the lyrics of his new songs. 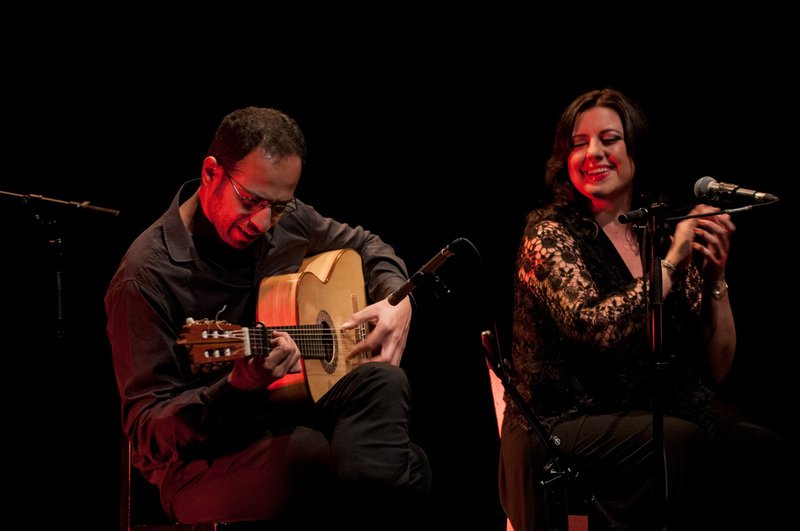 Poems by great Andalusi writers and contemporary Egyptian poets, as well as Spanish poetry from the likes of Lorca, are sung by the mesmerising young flamenco singer Nieves Hidalgo. 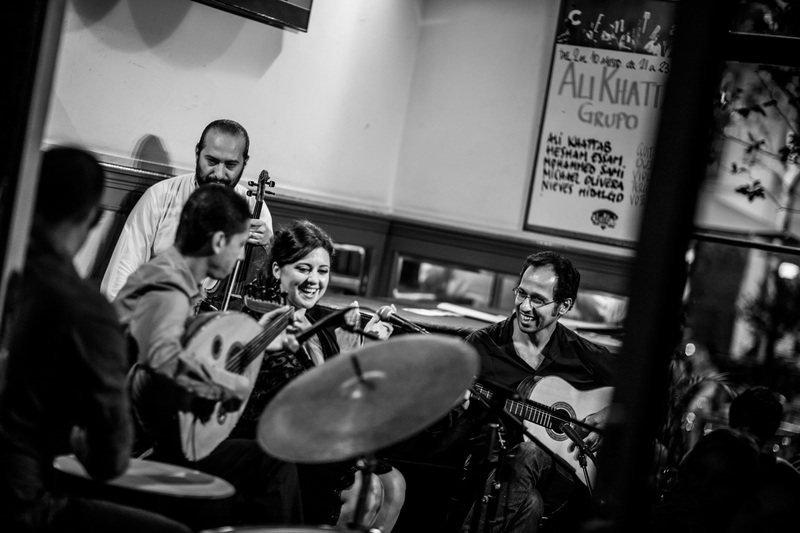 This new sound is more romantic and more familiar to Western ears, but Ali’s sound loses nothing of its Arabic roots and its trans-Mediterranean personality. 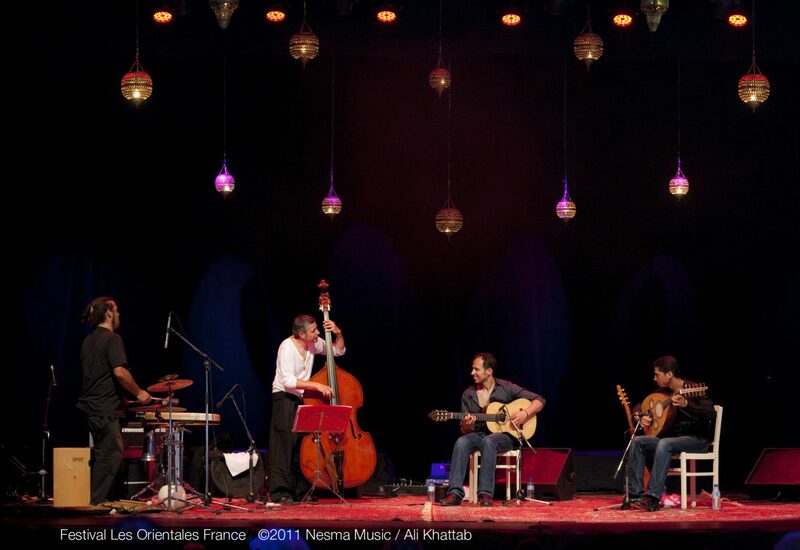 The new line-up brings out all the dynamism and the melodic beauty of Ali’s compositions. 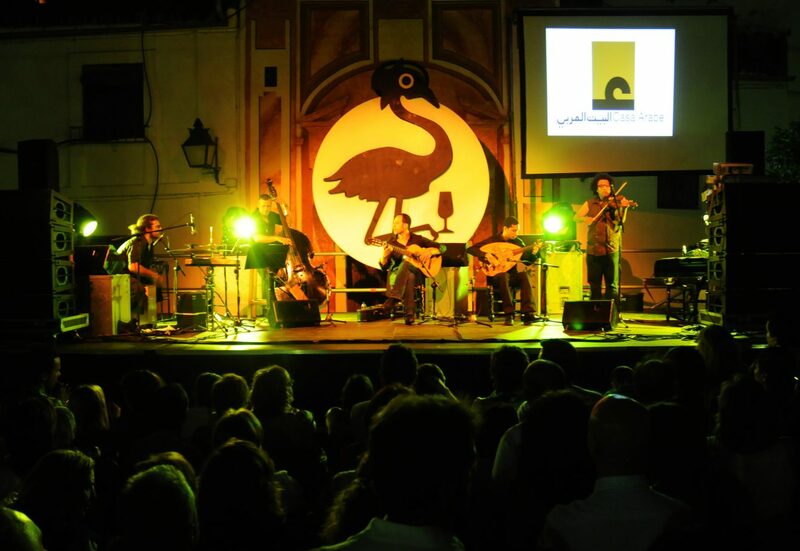 It’s a truly international music that reaches out, beyond borders, to all who are willing to hear it. 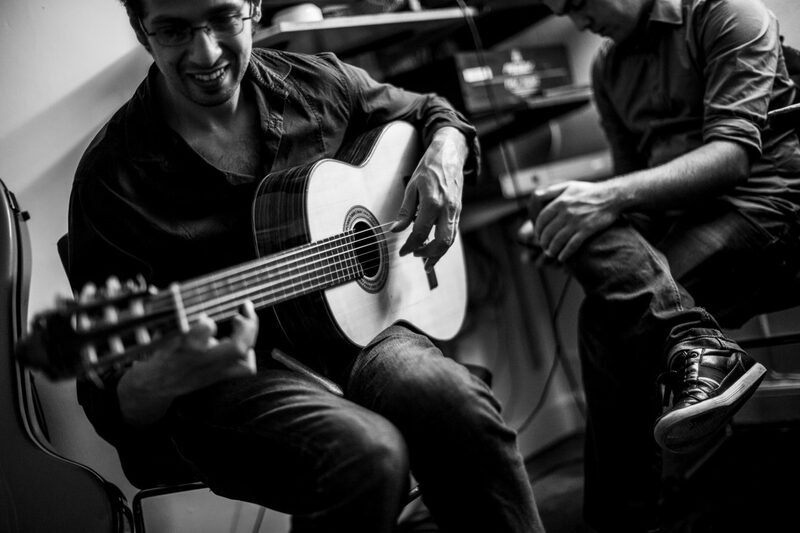 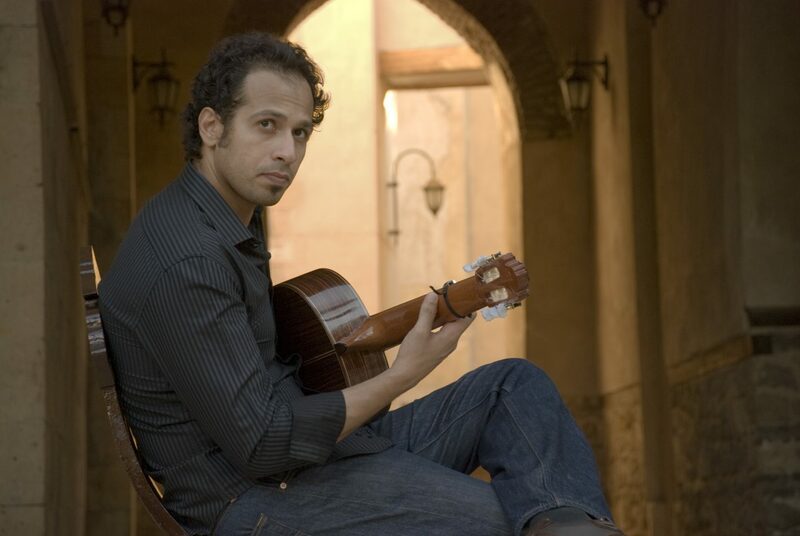 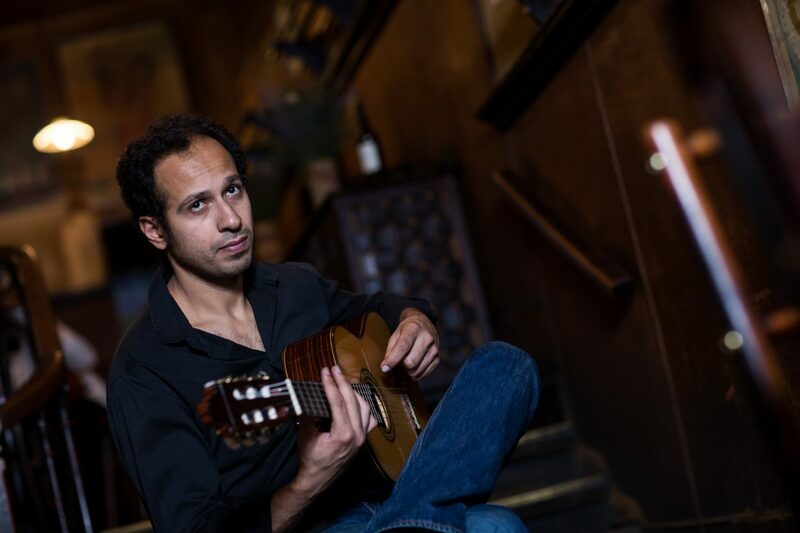 Born in Cairo in 1977, Ali Khattab started to teach himself the guitar at the age of eleven and his almost obsessive passion for the instrument began with his discovery of flamenco, two years later. 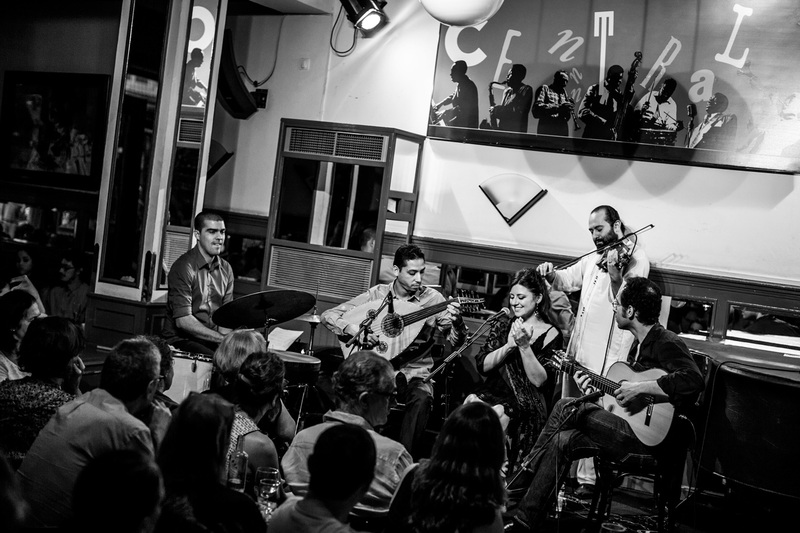 At 20, he began a journey that led him to Jerez de la Frontera, where he met influential guitarists, singers, palmeros and dancers, who introduced him to the universe of flamenco in its pure form. 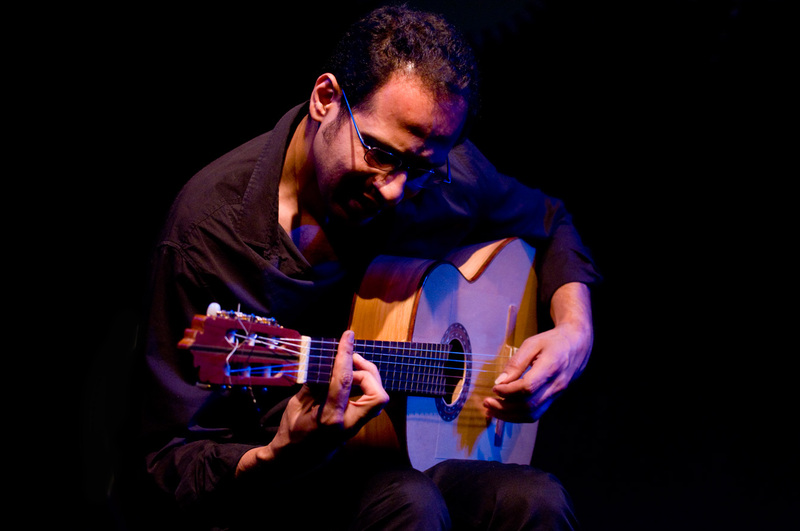 Inspired by this Andalusian music, he began his first explorations as a composer plotting his own path where oriental music meets and merges with flamenco. 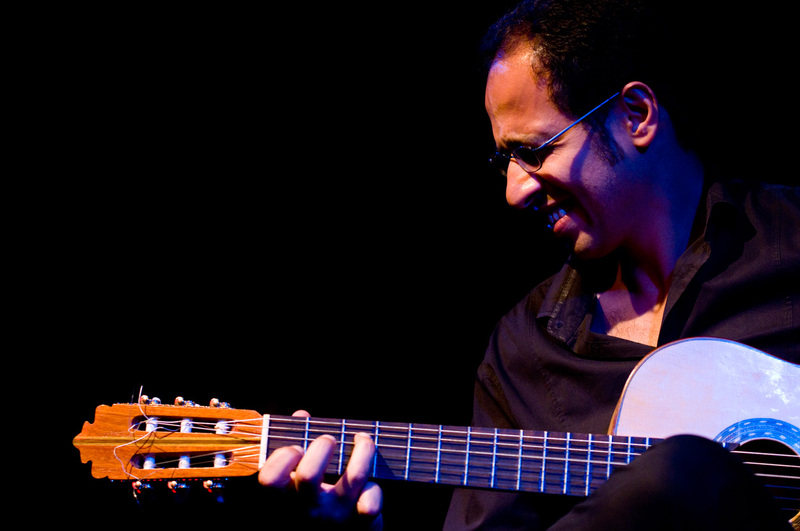 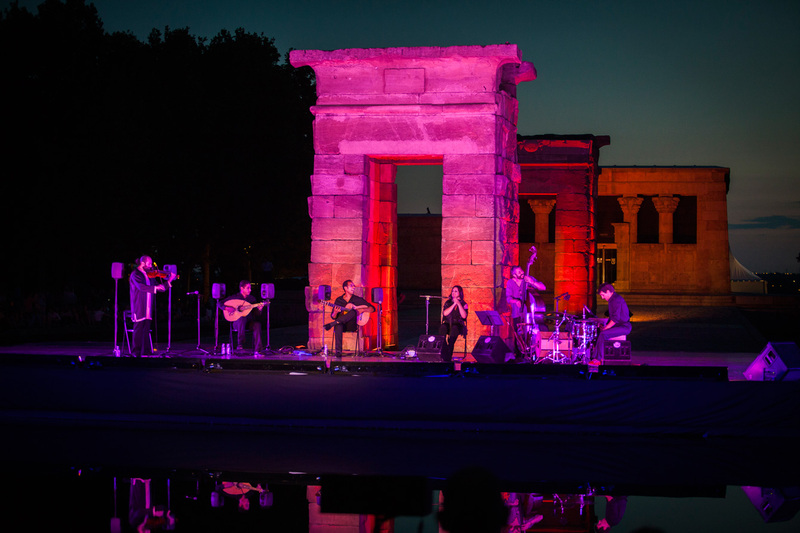 Since then, surrounding himself with great Egyptian and Spanish musicians, he has presented his project in different formations, from duo to sextet, in many countries in the Middle East and Europe, and he has captivated audiences with each performance. 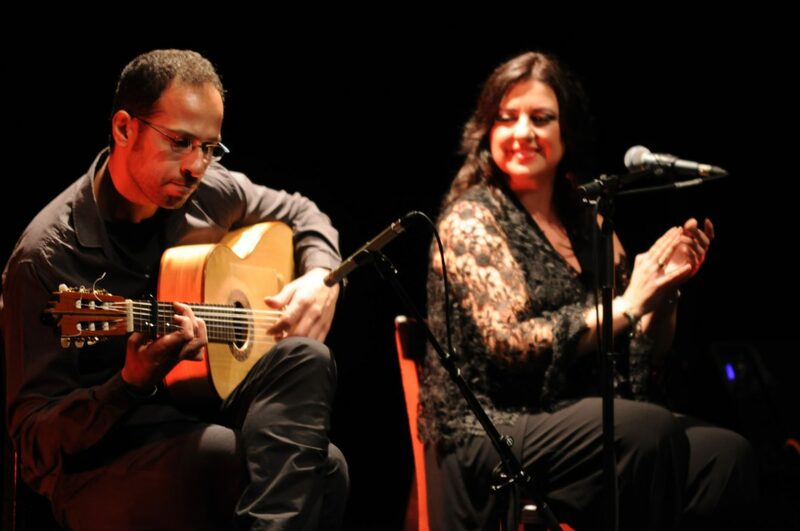 (Nesma Music 2014) have won prizes and critical acclaim in Spain, Europe and the United States.